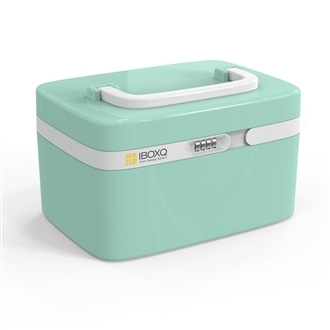 IBOXQ Storage Boxes the smart storage solution to all your organizational needs. It’s the ultimate storage solution. It has gorgeous design and smart features. You can stack it, you can lock it. You can place it in your wardrobe, on your shelves, or display it as an elegant part of your beautiful interior. It’s designed not only to be safe and secure, but to compliment any environment it’s placed within. You can choose your personal solution – modern and neutral looks or an extraordinary stack of mixed sizes and colours. We are here to give you a wonderful and best-quality product. You are the project manager of your storage solution. IBOXQ is not your average storage box. They are excellent for homes, offices, schools, hospitals, museums, institutes & more. Made of ABS raw material, IBOXQ storage boxes are firmer and more durable than the common polystyrene boxes. Designed to sustain impact, a wide range of heating conditions (−4 and 176 °F) and even chemicals, you’ll never have to worry about keeping your belongings safe. Anything you wish to store and protect can be safely encased in IBOXQ storage boxes. Our boxes have an inbuilt four number coded lock so that only you can access their contents. It only takes few steps to put the boxes together. Thanks to their well-designed top and bottom, they’re easy to stack and store. Our IBOXQ models come in different capacities (32L, 78L and 140L) and in an array of elegant colours. We want you to be perfectly happy with your purchase that’s why we offer you 100% money back guarantee!